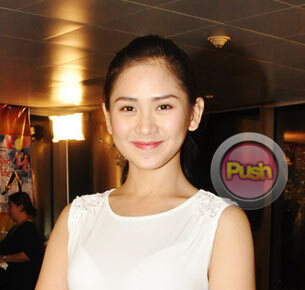 Sarah Geronimo says Charice has the right to pursue whatever will make her happy. Sarah Geronimo was quick to defend fellow singer Charice from bashers, stating that it’s unfair for other people to bash the international singing sensation just because her self-expression defies what the society expects of her. “We have to respect her, hindi dahil si Charice Pempengco siya kundi dahil tao siya. Bawat isa [sana mag] respetuhan, tama na, pabayaan na natin si Charice,” said the Popstar Princess in an interview with Push.com.ph and other ABS-CBN entertainment reporters. Likewise, Charice’s mom, Raquel, recently stated in an interview that she would support her daughter should she decide to confirm that she’s a lesbian in public. “Ang sinasabi ng puso ko at isip ko bilang ina ay hayaan ko siyang ilantad kung ano ang tunay na katauhan niya. Kung ano ang gusto niya, dahil doon siya magiging maligaya,” Raquel reportedly told ABS-CBNNews.com last Friday, May 10. As it is, living such a sheltered life also makes her wonder what it’s like to be responsible for her own decisions. “Kailangan na. 25 years old na po ako. Kailangan maging independent,” she beamed.